you woke up extra early, crying. you haven't woke up crying in a good week now, so it surprised me. i quickly went to get you, scooped you up, and we rocked. you were so upset and it took no less than five minutes to completely calm you down. i sang your favorite song, old mcdonald in your ear over and over again. you looked up at me with the saddest tears in your eyes and said "paci go?" "paci? okay!" i got your paci out from under your crib, which is where it always ends up every morning, and you said "thank you, mommy!" you're extra welcome, sweetie. i fed you pancakes and sausage for breakfast. you haven't been eating much meat lately so the sausage eating was a pleasant surprise. we looked at the animal flashcards "crab. dolphin. doggy. monkey. elephant." you helped me feed reid his bottle and rubbed his head. 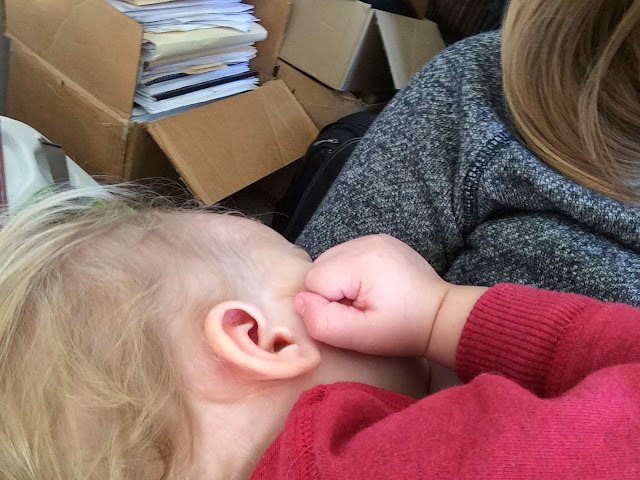 i nursed you like i always do when it's nap time but instead of laying you down awake, i let you nurse to sleep. it didn't take long, those early wake ups make for great naps later on. i ran my fingers through your hair, kissed your chubby little hands, and really felt the weight of you in my arms. i appreciate your life so much. 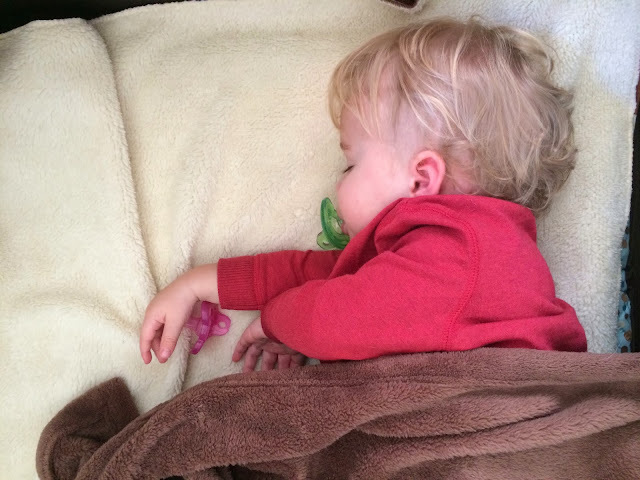 I love that he sleeps with a paci in the mouth and in the hand- so very sweet.